Now that summer has arrived, the warm weather probably has persuaded you to get outside more and be more active. It’s a great time not only to change up your personal routine but also a perfect time to think about ways to freshen up your home and take it to a new level. Summer is one of the best times to take on a home improvement project or two. The sunny weather and longer daylight hours in a day can help make it more convenient to take on home improvement, both inside and outside. You may be wondering what home improvement projects are most likely to improve your home’s value. Not to worry! 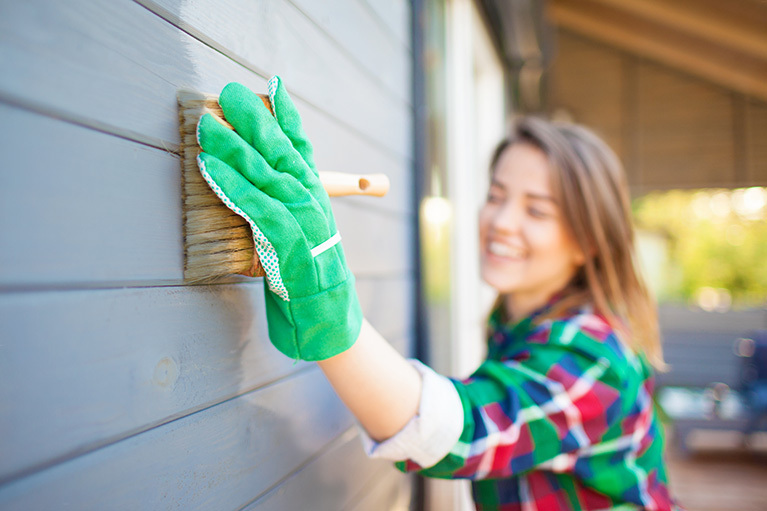 Here are 5 home improvement projects you can accomplish this summer that yield a high return on investment while also beautifying your home. One of the easiest, most cost-effective ways to improve your home’s look, feel, and value is to paint. Applying fresh paint to a home’s exterior can cause your home to “pop” from the curb, adding to its attractiveness and appeal, whether you have plans to put it on the market or you just want to impress those guests you’re planning on hosting this summer. Inside, you can opt to paint everything, or just redo a room or two. New paint in today’s popular colors can make older houses feel updated and modern. And choosing the appropriate color can make a room bright and airy—great for places where you entertain, such as the living room or den—or soothing and sleep-inducing—such as the bedroom. Energy efficiency is an extremely popular trend for homeowners, and it’s not going away anytime soon. Replacement windows, in particular, are a great choice when it comes to home improvement projects that pay off well. Energy efficient windows insulate your home, keeping in cool air during the summer and keeping warm air in during the winter. This creates a comfortable living space and also helps prevent your energy bills from skyrocketing during the hottest and coldest months of the year. And they can also bring in more natural lighting, which enhances your home’s look and feel and saves on electricity. Additionally, home buyers often look for elements such as new windows as integral to whether or not they’ll consider buying a particular house. So if you’re planning on selling your home in the near future, replacement windows can improve the likelihood that buyers will be interested. While home buyers may be happy to create a whole new look for many of the rooms in a house, they tend to prefer investing in houses which have upgraded bathrooms. And bathrooms, especially the ones used by guests, can get a lot of traffic throughout the year as people visit. An updated bathroom with new fixtures, stylish tile, and modern accessories can add a touch of elegance and comfort to your home—as well as boosting its resale value. With warm, sunny weather comes many opportunities to host backyard barbecues, do some gardening, and lounge on your front porch as you chat with the neighbors. So, giving attention to your landscaping is an effective, appealing way to ensure your outdoor areas are pleasant for yourself and visitors. And homes with attractive landscaping, functional decks and patios, and other inviting features are likely to draw higher bids when you’re interested in selling your home. Thus, the investment is worth making, whether you plan to put your home on the market in the near future or plan to hold onto it for many years. Consider installing attractive, low-maintenance plants such as hosta, pine, and barberry bushes to beautify the landscape and add greenery. Add flowers in elegant, bright planters near entranceways. Install a fire pit or upgrade the back deck with weather-resistant wood or other materials to give your outdoor entertaining space an added appeal. Winter isn’t the only season that can be rough on your home. During the summer, homeowners contend with thunderstorms, hail, wind, humidity, and blazing heat. Insulating your home properly helps keeps your property safe and lowers utility bills. And one element that can significantly improve your home’s insulation often gets overlooked—your doors. New storm doors can help your home stay warm in winter and cool in summer. With today’s styles and designs, these doors also add an element of beauty to your front entrance, and can even bring in more natural lighting. Adding value and beauty to your home doesn’t have to be complicated or draining. You can start the planning process anytime by contacting the friendly, professional team at John McCarter Construction. 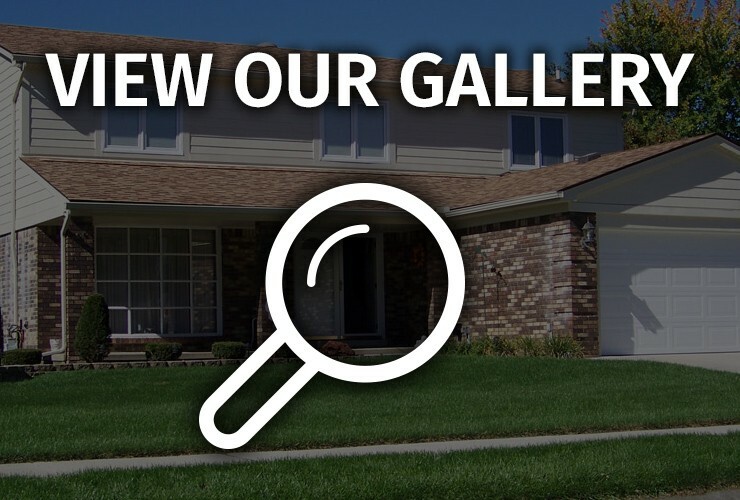 We’ll come to your property, perform a free home improvement inspection, and walk you through the process of giving your home a facelift that is easy to maintain and makes you proud to own your home. Contact us today.